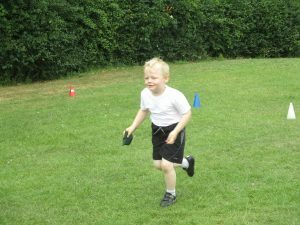 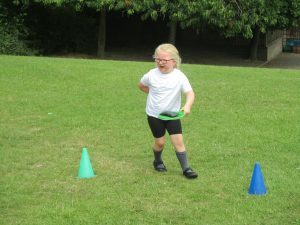 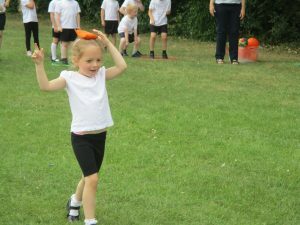 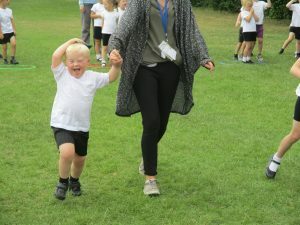 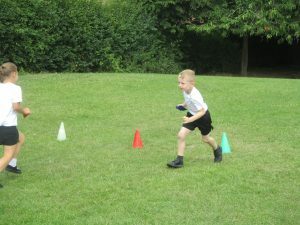 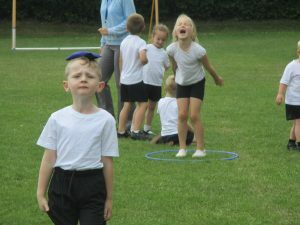 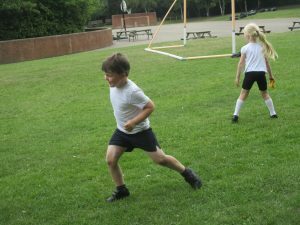 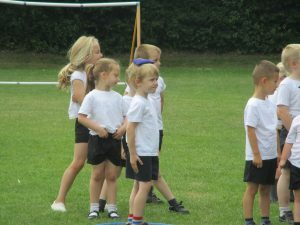 This morning the children took part in their own sports and games. 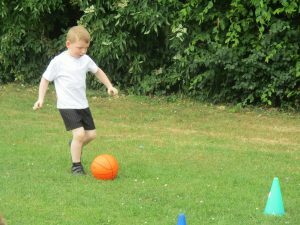 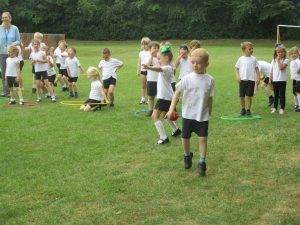 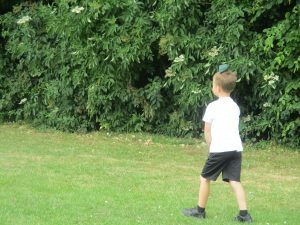 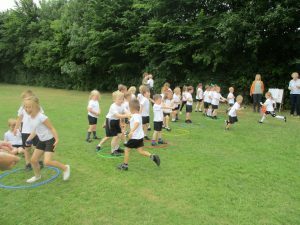 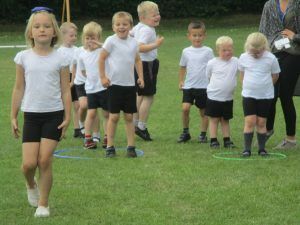 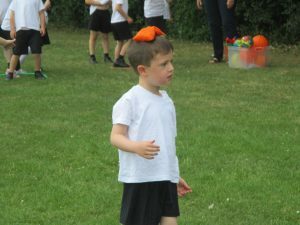 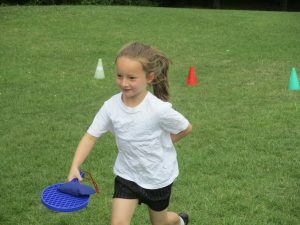 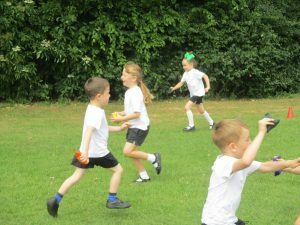 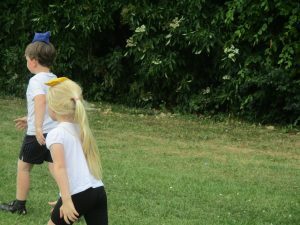 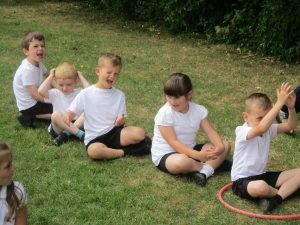 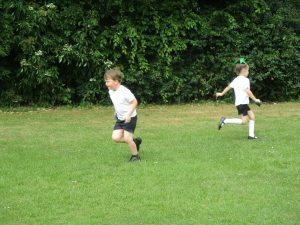 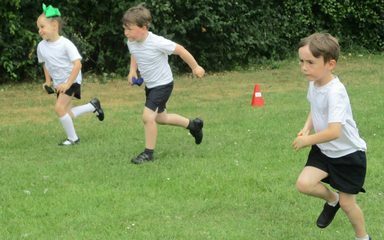 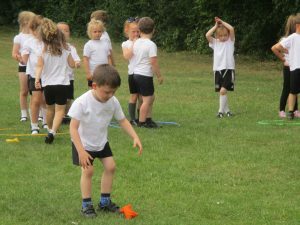 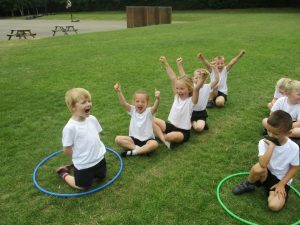 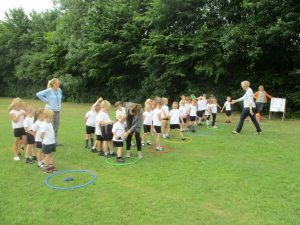 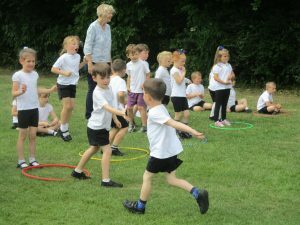 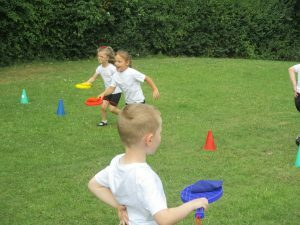 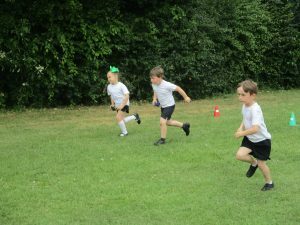 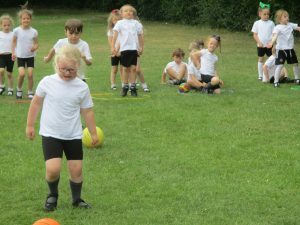 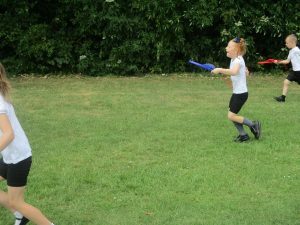 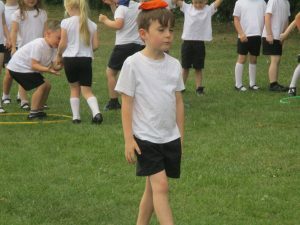 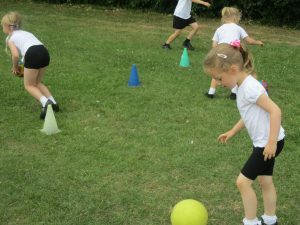 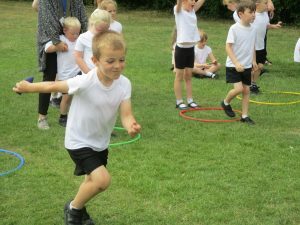 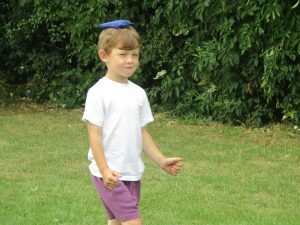 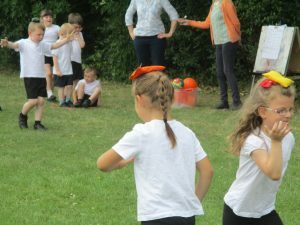 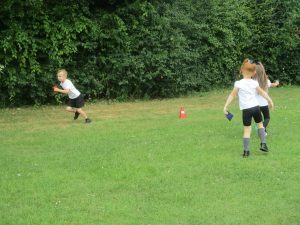 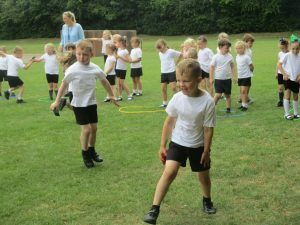 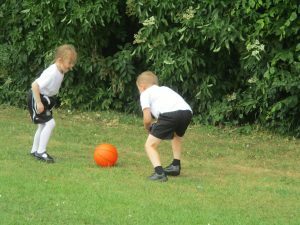 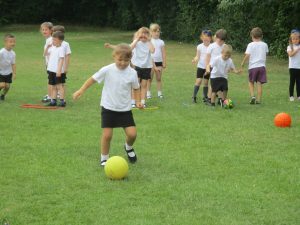 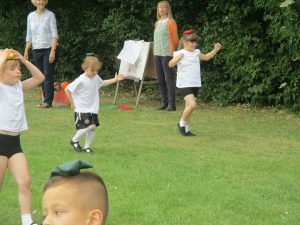 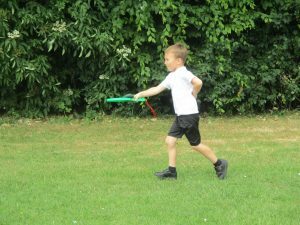 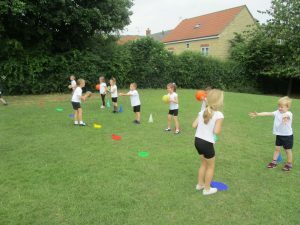 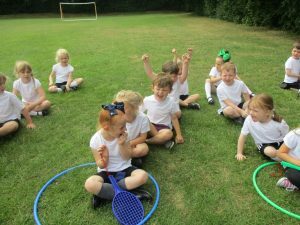 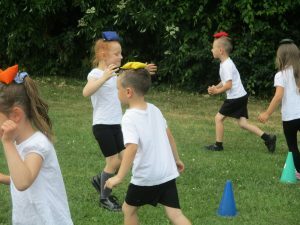 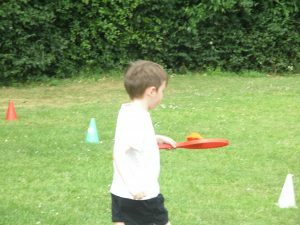 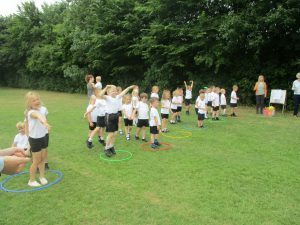 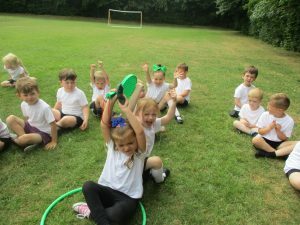 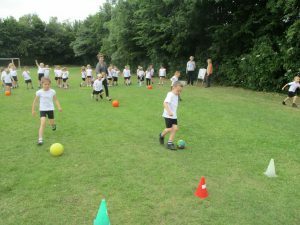 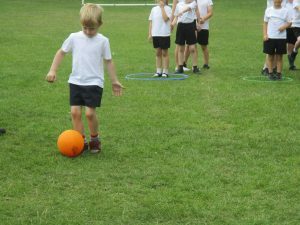 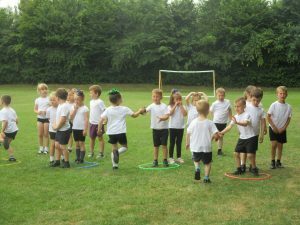 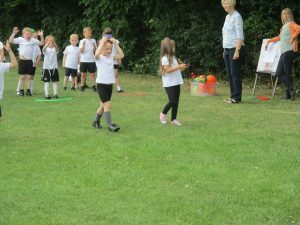 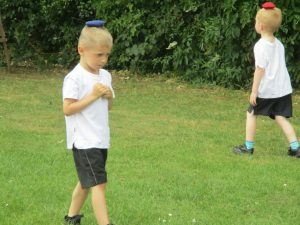 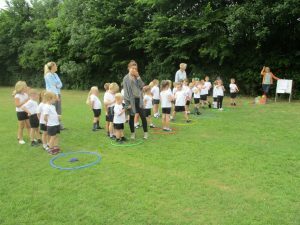 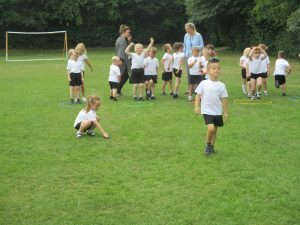 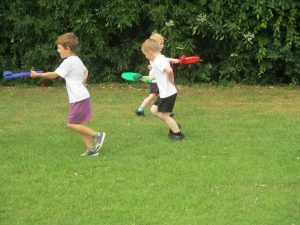 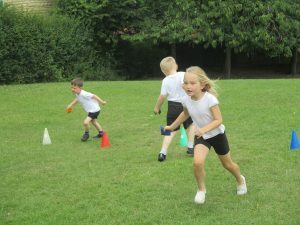 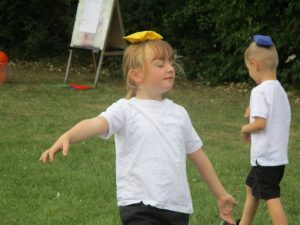 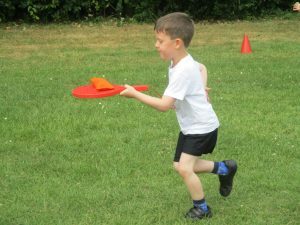 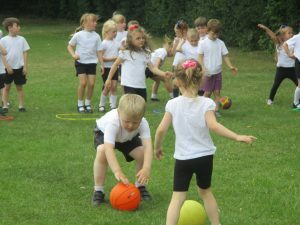 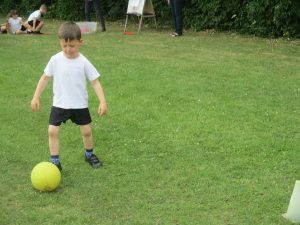 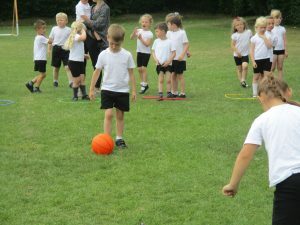 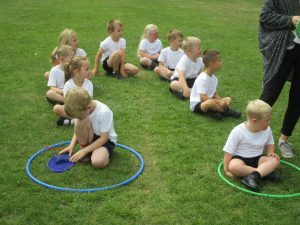 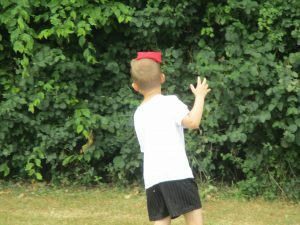 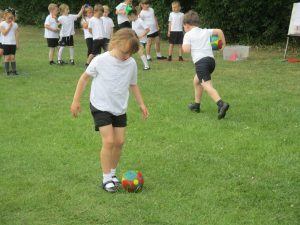 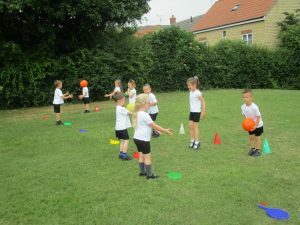 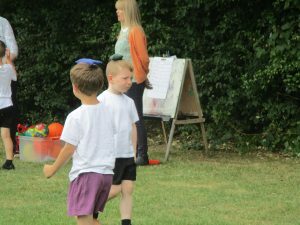 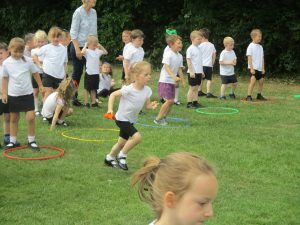 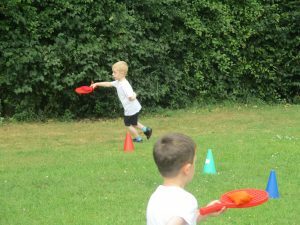 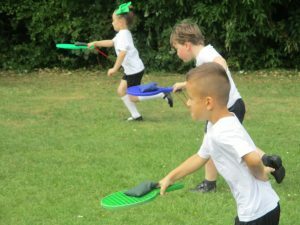 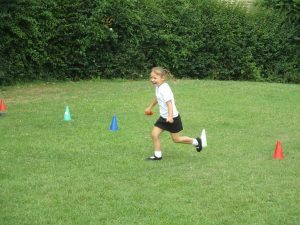 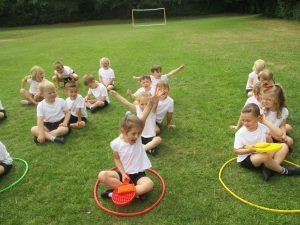 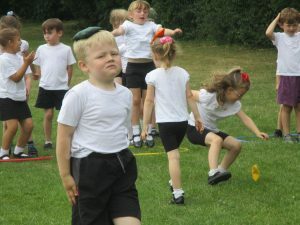 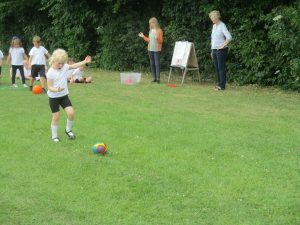 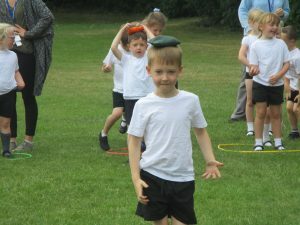 They each joined a team and participated in different races, including running, skipping, walking sideways, balancing the beanbag on your bat, balancing the beanbag on your head, dribbling the football and throwing and catching. 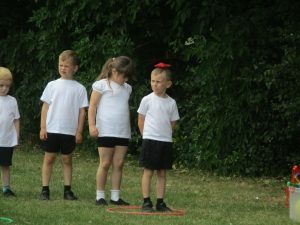 There was lots of team spirit with cheering and clapping for their team mates. 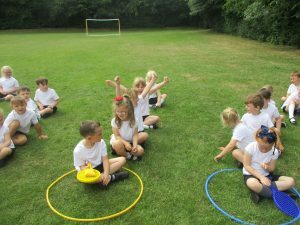 A record was kept of which team won each race and at the end the points were counted and Blue Team 2 won!